Run, jump, climb, and race at incredible speeds in this frenetic VR adrenaline platformer. Become a rising star in the galaxy’s most popular game show as you go head-to-head in a highly-competitive, full-body VR experience. 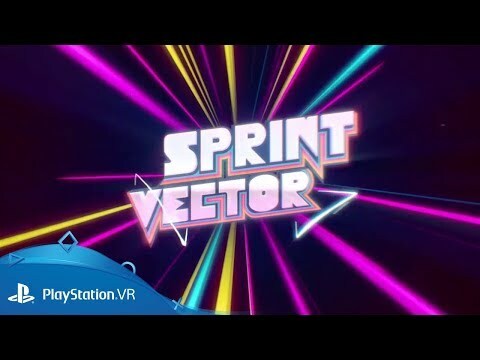 Built on innovative Fluid Locomotion™ technology, Sprint Vector merges the physical thrill of athletic competition with the unhinged energy of a futuristic game show. Run, jump, drift, climb, shoot, dodge, and fly your way to victory as you face down brutal competition in a series of mind-bending cross-dimensional race courses. Fluid Locomotion™: Feel the rush as fluid translation and intended motion lets you reach and maintain incredible speeds with no physical discomfort. High-octane racing: Speed past the competition for the title of intergalactic champion, or refine your skills on formidible challenge maps. Active VR gameplay: Use your entire body to run, jump, drift, zip, climb,fling, shoot, dodge, and fly with intuitive motion controls. Weapons and items: What’s a little friendly competition without a bit of self-serving sabotage? Take aim at both the course and your competitors with weapon attacks and usable items. Choose your racer: From space kids and disc jockeys to graffiti artists and gangster sharks, enjoy a diverse cast of playable characters from every corner of the galaxy. 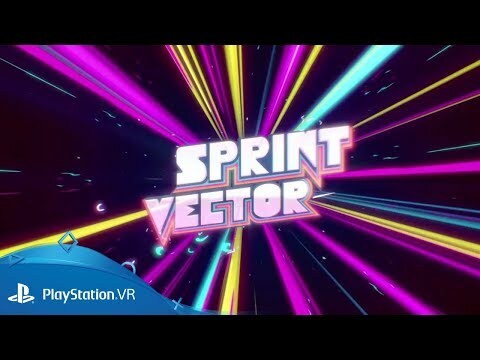 Sprint Vector uses PlayStation Move to map your real life movements to the in-game action - without them, you'll be going nowhere fast! Looking for incredible VR experiences? Tear your way through a medieval castle in search lost plunder in Smash Hit Plunder on PlayStation VR.